Post Planner is known at The Ultimate Facebook Management Tool and for good reason. I started using Post Planner a few month ago and it has helped me juggle the task of managing 5 Facebook Pages and 2 profiles. I know that's a lot but even if you only have one page and one profile, Post Planner can be the answer to your Facebook posting nightmares. One of the reasons I like Post Planner so much is because it lets you post to Facebook pages, profiles AND groups. Posting to Facebook groups is a huge plus because this is something that you can't do with Buffer or HootSuite. Now that I have Post Planner, I rarely use any other tools for posting to Facebook. You can schedule posts so they don't overlap. This is really important if you belong to multiple Facebook groups and it helps stagger the posts to all your groups so it doesn't look like you're spamming your friend's streams. If you post with those other services, it will have their branding. Wouldn't you rather have your own? This post happens to be from a podcast and anyone who sees it in their stream can listen to it right on Facebook, which is another feature that I really enjoy. 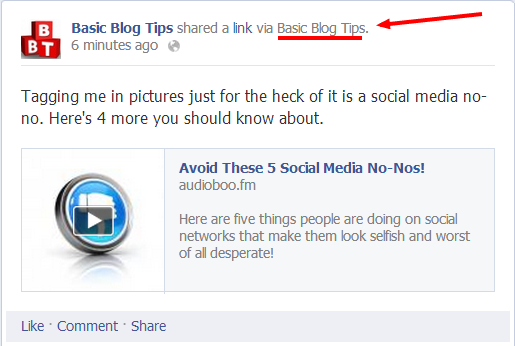 You can drive traffic to your blog or your podcast from Facebook and Post Planner just makes the job so much easier. Ever run out of ideas for what to post on your page? Post Planner will help you curate content that is targeted to your audience and can help increase your EdgeRank. Disclosure:If you use my affiliate link I will earn a small commission but it doesn't cost you anything extra. Give Post Planner a try and keep me posted with your progress. Visit my Facebook Page and you can leave a link to your page in the comments below.